Peel and de-stone 2 of the avocados and chop the cucumber and 3 of the spring onions. Place in a food processor or blender with the vegetable stock, soy milk, lemon juice and crushed garlic clove. Blitz until smooth and creamy. 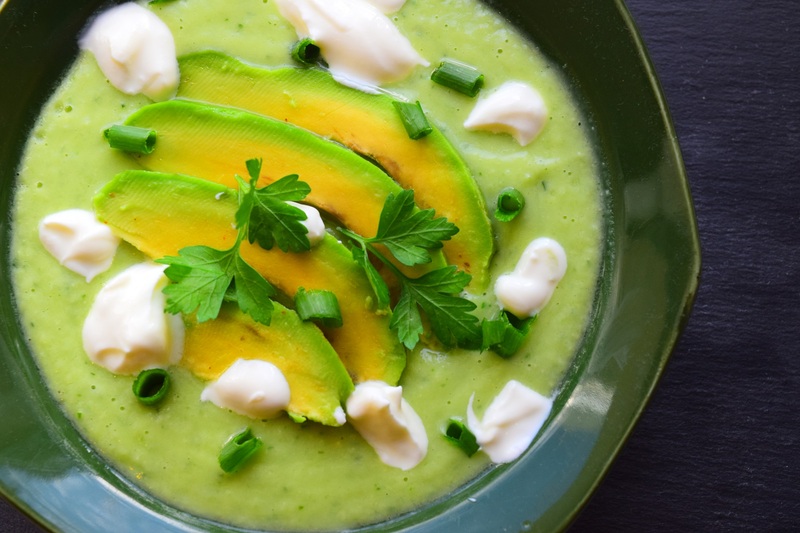 Place the soup in the fridge to chill - then when ready to eat, serve with the other avocado sliced on top, Greek yoghurt, the final spring onion (chopped) and fresh parsley. 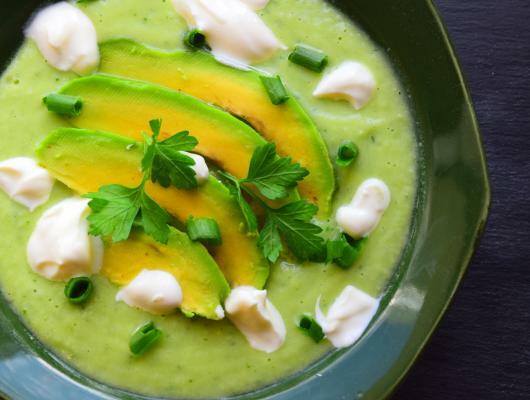 This delicious chilled avocado and cucumber soup recipe is refreshing, light and full of nutrition. It makes the perfect lunch or starter and is super easy to prepare, so is great for when you’re short on time.